Break stereotypes and show that cat and dog can actually be best friends with this fun and original decorative wall sticker! 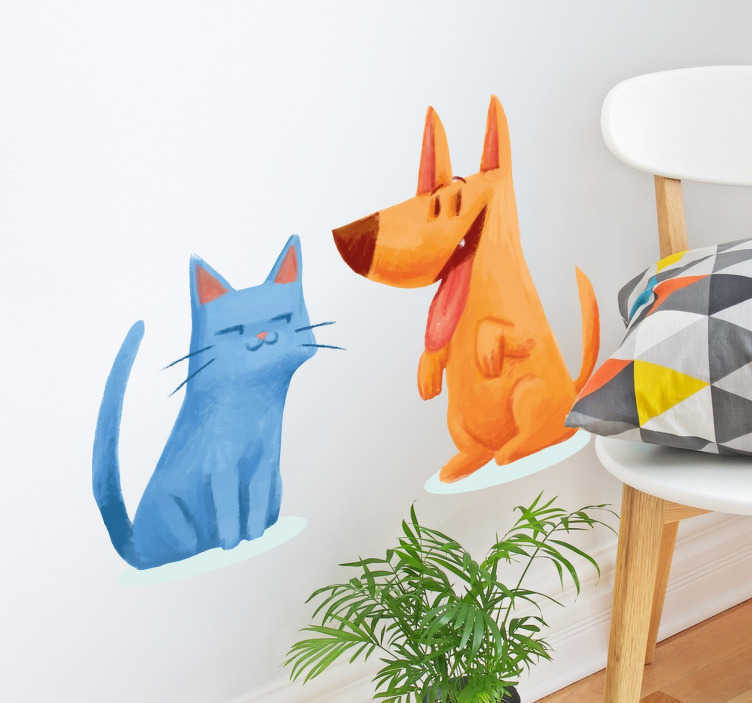 Perfect for any room in the home and featuring an illustration style design of a cat and a dog cheerfully spending time together, this vinyl is applicable to any smooth hard surface. This sticker is available in a wide variety of different sizes!